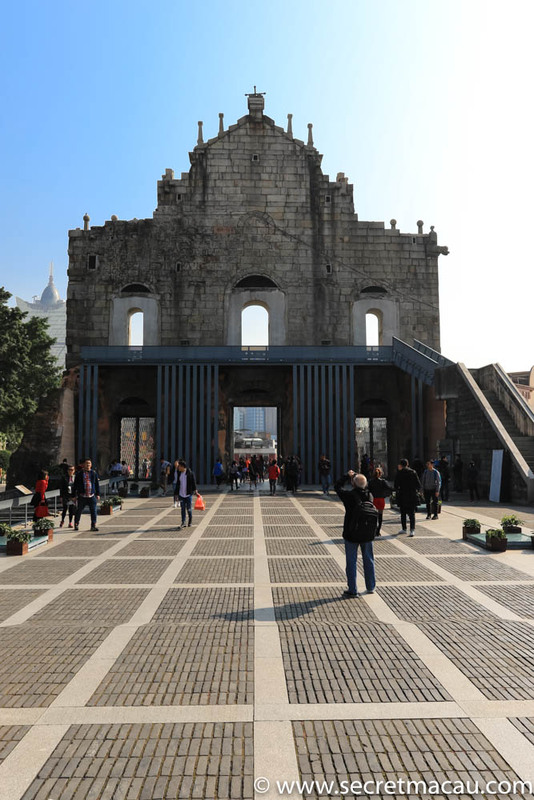 One of the most recognisable landmarks in Macau, the Ruins of St. Paul’s (大三巴牌坊) are all that remains of a 16th century complex which included the Church of St Paul (Mater Dei) and St Paul’s College. The college was one of the largest in Asia when it was first built, at a time when Macau was the main port in the Pearl River Delta (before being overtaken by Hong Kong). 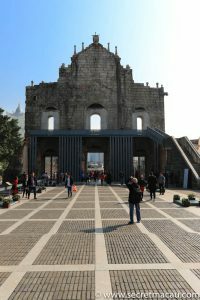 The main focus of the ruins is the magnificent southern stone facade, standing atop a wide stone staircase of 68 steps which winds up from the Historic centre. 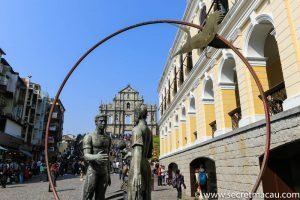 It’s a lovely walk up from Senado Square, past the shops, cafes and street food vendors. 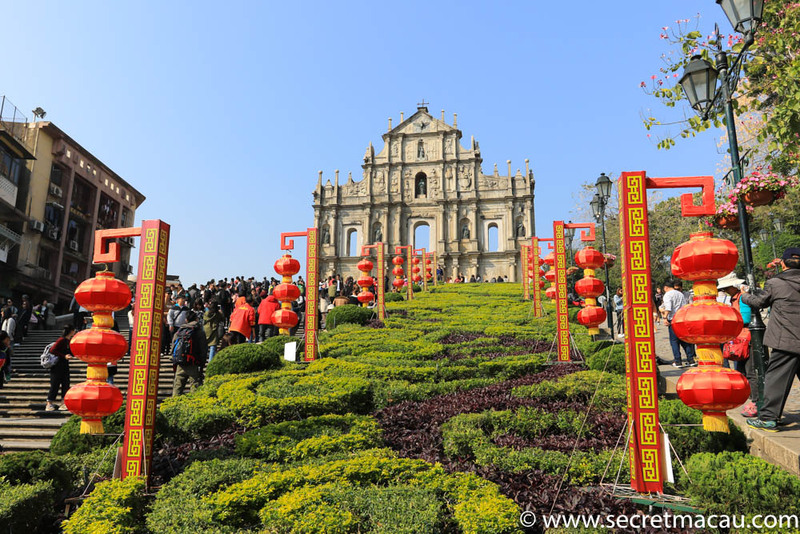 From the top of the stairs you can look out across the rooftops of historic Macau – a view dominated by the unique silhouette of the mighty Grand Lisboa casino. 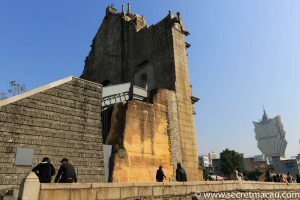 From here you can also get a closer look at the intricate detail of the stone carvings in the facade. 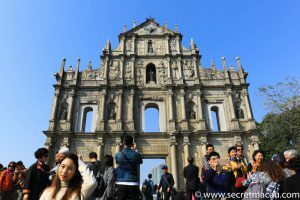 They were done by Japanese christians in exile around 1620 and local craftsmen, under the guidance of Carlo Spinola, and Italian Jesuit. 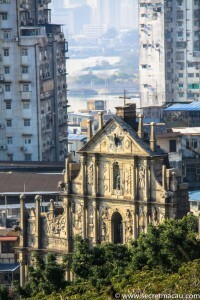 The carvings are a mix of Jesuit and Oriental imagery, topped with a dove with outstretched wings. 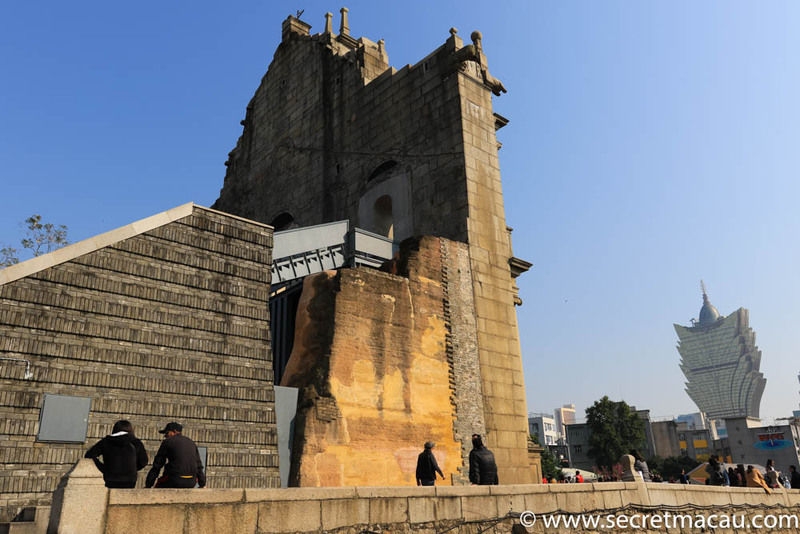 To the rear of the facade is the Museum of Sacred Art and Crypt. 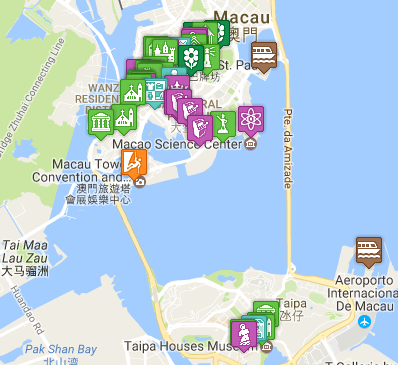 In 2005 the ruins were added as a UNESCO World Heritage Site as part of the Historic Centre of Macau. 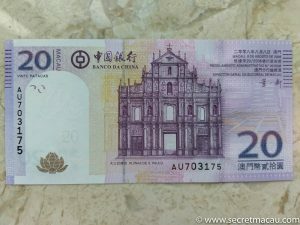 The Ruins of St Paul’s also feature on the Macau 20 Pataca note.